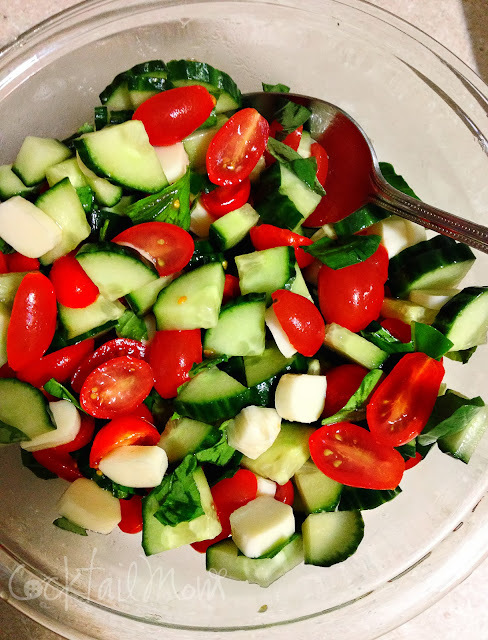 This is one of my favorite refreshing salads. It's so easy to make and and is both gluten free and without the cheese can be vegan. Combine all ingredients and enjoy. Olive oil, salt and pepper to taste.